In today's competitive environment, being able to optimise your business value and carve out a sustainable competitive edge are vital factors for success. Here is where ACC can play a part! 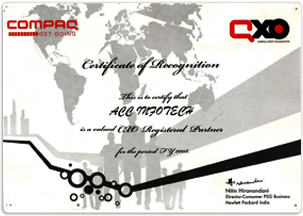 We are a leading vendor-independent IT and communications solutions provider incorporated in the year 1983, in Kolkata in the name of Associated Corporate Consultants ACC boasts the region’s largest pool of centralised IT infrastructure to offer quality services to our clients rangeing from SMB’S to Blue Chip clients. Having office space in two centralised core business place, easily accessible from all parts of Kolkata. 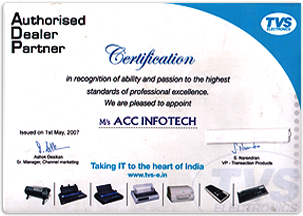 More than 25 years of dedicated IT services has created a strong goodwill. With over two decades of proven experience in technology and enterprise IT infrastructure, ACC has successfully deployed, and manages, complex IT infrastructure for its clients Our capabilities provide the operational footing for a diverse portfolio of end to end business technology solutions and services including onsite and remote infrastructure management services, unified communications, networking & IT solutions. 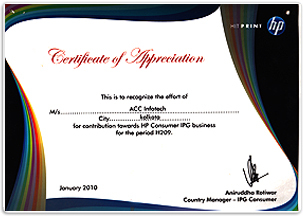 The experience that ACC has gained over the years from recommending IT products, consultancy & implementing hardware/software solutions, providing hardware maintenance services, data management services extending to facilities management and complete outsourcing of operations. ACC have always believed in quality support than quantity support which is the reason that company growth is consistent in all the previous years. 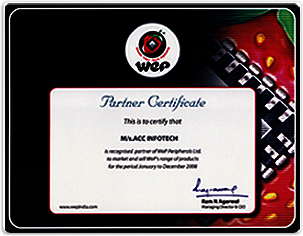 It is embedied in its principles, its customer-centric approach; its zeal for quality, its people and its partnerships. To meet unique requirements and ensuring the best of IT solutions, ACC has strategic alliances with some of the industry’s most reputed technology leaders. With the world moving towards Networking & Internetworking, the fastest growing segment of the IT industry, the mass arrival of global IT products in India exposed a covert need for specialized networking and systems integration solutions. We deliver end-to-end solutions that can manage and support our customers' IT systems across the entire value chain — infrastructure, applications and business processes.